There was an explosion at Silent Valley reservoir in County Down cutting off water supplies to Belfast. There was a second explosion at an electricity pylon at Kilmore, County Armagh. Two Catholic civilians were killed when the Ulster Volunteer Force (UVF) carried out a bomb attack on the funeral of an Irish Republican Army (IRA) member in the Ardoyne area of Belfast. The Irish Republican Army (IRA) carried out a series of attacks in Northern Ireland. Wilbert Kennedy (36) and Noel McCulloch (32), both Protestant civilians, were killed in a bomb blast at the Diamond, Magherafelt, County Derry. An inadequate warning had been given. A further 12 people were injured in the attacks. Bombs exploded in Armagh, Ballymena, Belfast, Bessbroke, Derry, and Magherafelt, and caused an estimated £1 million pounds in damage. There was a Northern Ireland Assembly by-election in Armagh. The by-election occurred because Seamus Mallon, then Deputy Leader of the Social Democratic and Labour Party (SDLP), was removed from his seat because he had been a member of the Irish senate at the time of the election. The SDLP had called on voters to boycott the election and the turnout was 34.1 per cent. The Ulster Unionist Party (UUP) candidate, Jim Speers, won the by-election beating the only challenger, Tom French, the Workers’ Party (WP) candidate. Four senior Irish Republican Army (IRA) members were believed to have been expelled from the organisation. 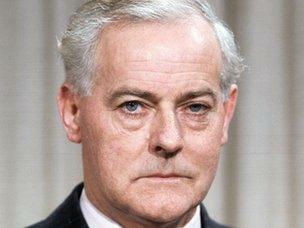 James Molyneaux, then leader of the Ulster Unionist Party (UUP), presented a set of proposals entitled ‘Blueprint for Stability’ to John Major, then British Prime Minister, while on a visit to London. The Irish Republican Army (IRA) killed Gregory Pollock (23), a Royal Ulster Constabulary (RUC) officer, and wounded two other officers, in an attack on a RUC mobile patrol in Derry. Pollock was killed when a horizontal mortar bomb struck the vehicle he was travelling in on Spencer Road, Waterside, Derry. It was believed that John Major, then British Prime Minister, and Bill Clinton, then President of the United States of America (USA), discussed the ‘Peace Process’ at a summit in Moscow. A Child Poverty Action Group (CPAG) report showed that poverty in Northern Ireland continued to be the highest in the United Kingdom (UK). 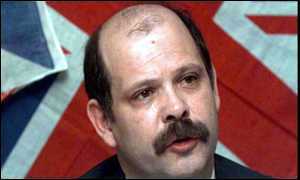 David Ervine, then a spokesperson for the Progressive Unionist Party (PUP), said that dissident Loyalists from the Loyalist Volunteer Force (LVF) had carried out the attack on the Mountpottinger Baptist Tabernacle in east Belfast. Initially Catholics were blamed by Sammy Wilson, then a Democratic Unionist Party (DUP) councillor. Ervine said the attack on the Protestant church was an attempt by the LVF to stir up sectarian tension. 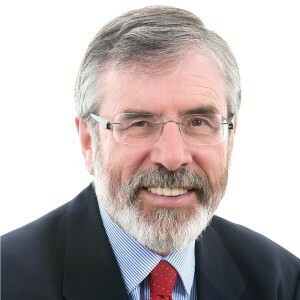 Gerry Adams, then President of Sinn Féin (SF), addressed the SF Ard Fheis in Monaghan and said that a vote for SF was a vote for peace. He also called for an electoral pact with the Social Democratic and Labour Party (SDLP) in areas where a split Nationalist vote would allow a Unionist candidate to win the seat. The Northern Ireland Office (NIO) released figures that showed that the annual cost of running the Northern Ireland Assembly was £10.7 million. The US Congress called for the ending of the financing of joint initiatives by the Federal Bureau of Investigation (FBI) and the Royal Ulster Constabulary (RUC) because of allegations of intimidation and harassment of lawyers by the RUC. Taxi driver. Found shot, Harrybrook Street, off Crumlin Road, Belfast. Found shot by the side of Upper Springfield Road, Hannahstown, Belfast. Alleged informer. Killed in car bomb attack on funeral of Irish Republican Army (IRA) member Trevor McKibben, Etna Drive, Ardoyne, Belfast. Killed in car bomb explosion, The Diamond, Magherafelt, County Derry. Inadequate warning given. Shot while on Royal Ulster Constabulary (RUC) foot patrol, Central Promenade, Newcastle, County Down. Killed during horizontal mortar bomb attack on Royal Ulster Constabulary (RUC) mobile patrol, Spencer Road, Waterside, Derry.